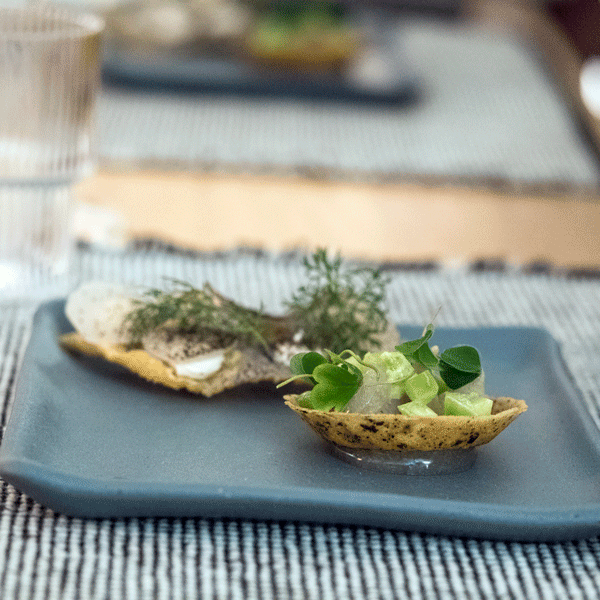 Nothing that has been created before in Ireland reconciles and extends the component elements of Irish hospitality quite like the experience you encounter in Breac.House. 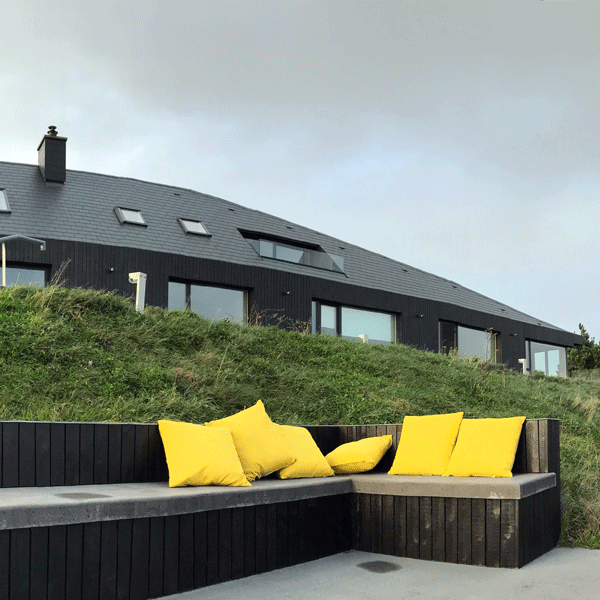 The house is ascetic, almost monastic, yet it is also utterly joyful, and playful. Aesthetically, it is complete, thanks to the obsessive attention to detail from owners Cathrine and Niall. It sits high on a hill on Horn Head overlooking Dunfanaghy village, in farthest northwest County Donegal, yet it seems to embedded in that steep hill, and embedded in nature. The success of the siting and design means that everything here feels organic, despite the intense manipulation of the architecture. The only way to describe the work of Catherine and Niall as a couple, and as hosts, is to say that they are artists of living, and artists of life, and their generosity and consideration is total. 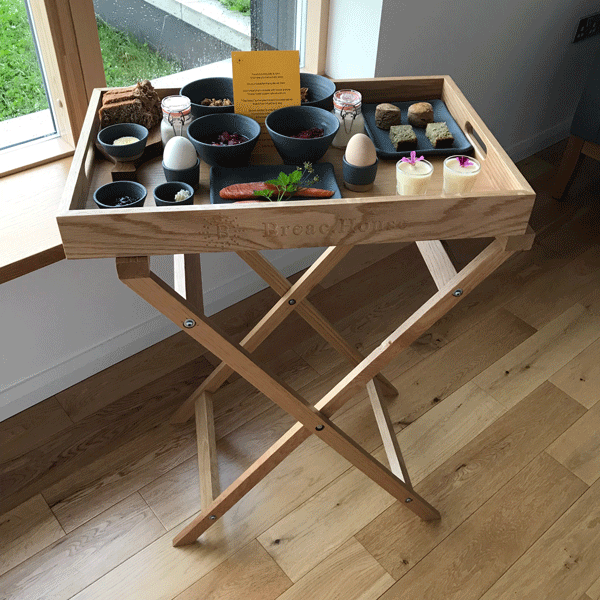 Behind every element of the experience is a wealth of knowledge, from the arrangement of the food on the breakfast tray – nods to both Swedish ideas, and to bento boxes – to the fab 1970’s Bang and Olufsen record deck. 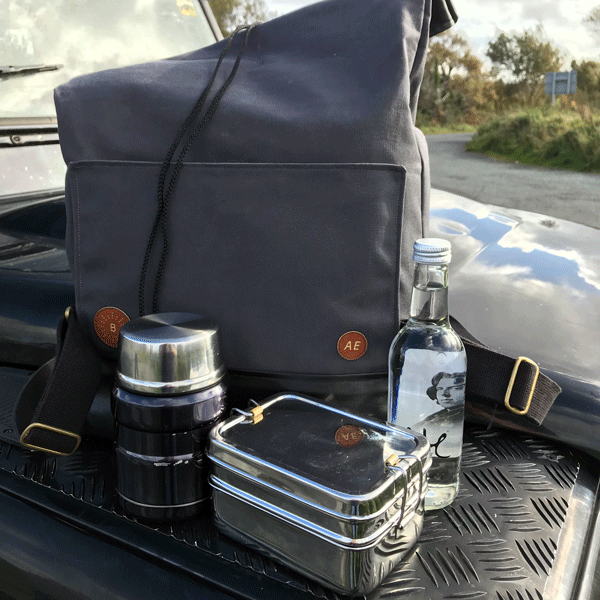 Their experience of living and travelling has been distilled, element by element, into the magnificent creation that is Breac.House, and they convert the prose of that experience into the poetry of hospitality. 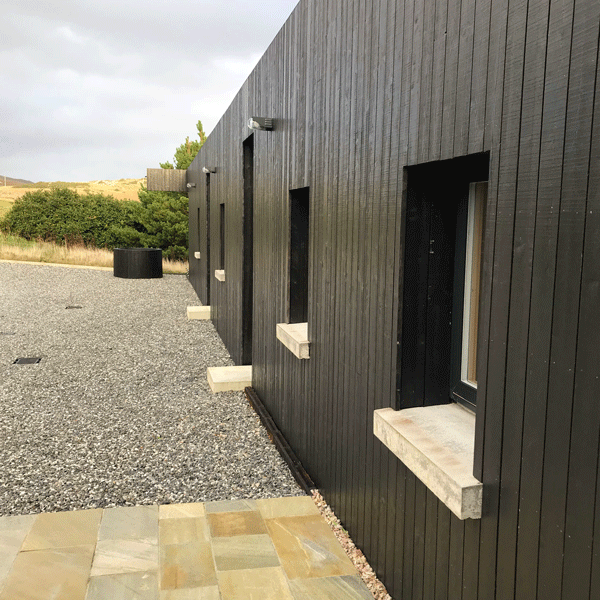 Interestingly, the house follows a path of radical Donegal architecture and design, and to get an understanding of that continuum, you should visit two nearby masterpieces by the great architect, Liam McCormick. McCormick's churches at Burt and in nearby Creeslough are amongst the most holistic and radical Catholic Churches ever designed in Ireland. Their spatial daring and holistic sense of calmness shows how McCormick created churches that were not merely religious destinations but were, instead, spiritual places. 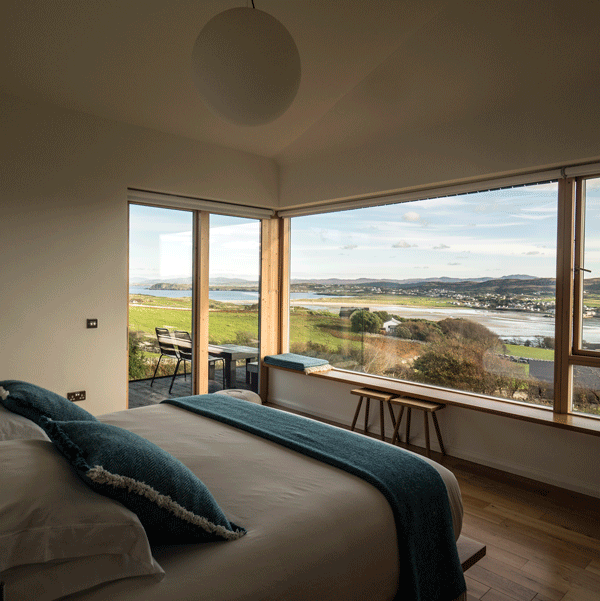 It is the experience of something magical which the great food writer Richard Olney once summarised in the adjectival triplet of “sensuous-sensual-spiritual.” Breac.house is a sensuous, sensual, spiritual – and joyful – experience. There is nowhere like it. You can take a chef out of Donegal, but you can’t take Donegal out of the chef. 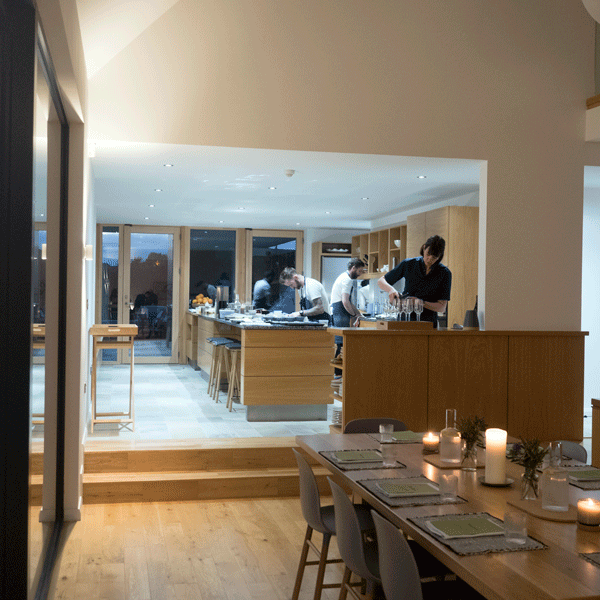 That’s the only conclusion you can draw when a chef like Ciaran Sweeney returns to his home county, from his acclaimed Dublin city base of Forest & Marcy – to cook one of his occasional dinners at Breac.House, in Dunfanaghy. 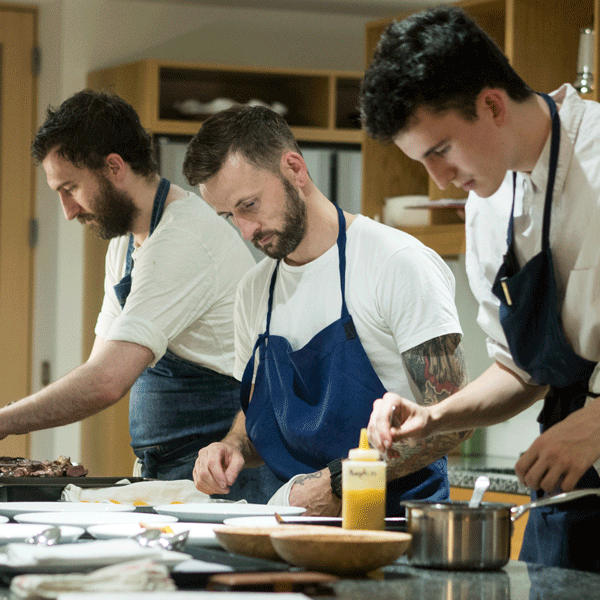 The meal turns out to be not just a celebration of Mr Sweeney’s skills – which are even more formidable than you thought, and which show him to be amongst the great Irish cooks. But, more significantly, his skills are visited on great ingredients from the county, and he cooks them not just with skill, but with immense pride. Interestingly, it is humble things that inspire him the most. The man whose fermented potato bread is one of the great modern Irish concoctions loves nothing better than ham hock – transformed into the most incredible dish of colcannon that you have ever eaten – or beetroot, baked in a dough crust and served with pine and hazelnuts, creating something that simply blows your mind: beetroot heaven in north Donegal. 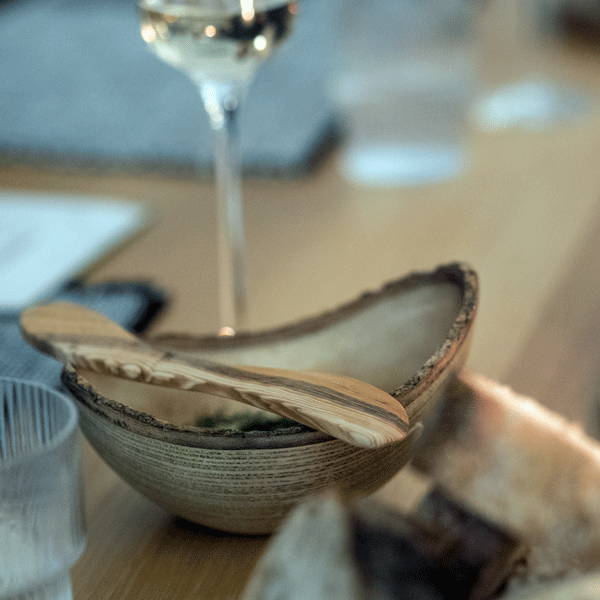 There are posher elements, of course, with scallops baked with seaweed, and sublime mallard in smoked hay, and steamed crab which shows a near-perfect affinity with see-through slices of celeriac. 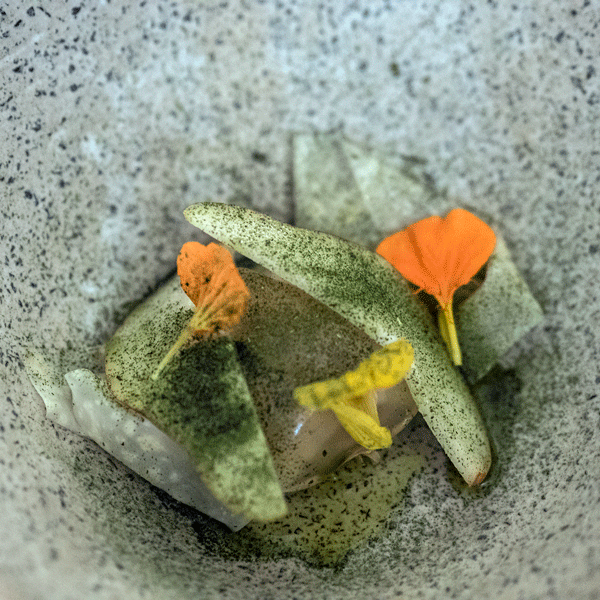 But the defining characteristic of Mr Sweeney’s food is an appreciation of rootedness – he puts the product in its homeplace and visits on it a fearless imagination and daring. And you can taste the pride, the pride of being a Donegal chef. 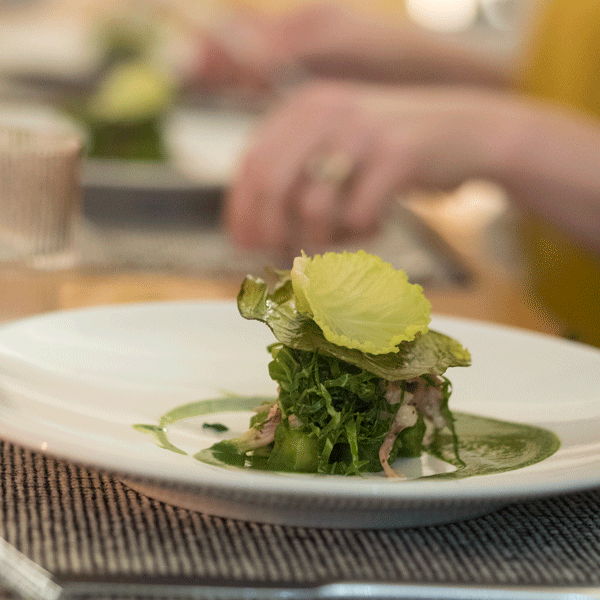 An experience like this is pretty much as perfect as eating in Ireland gets. 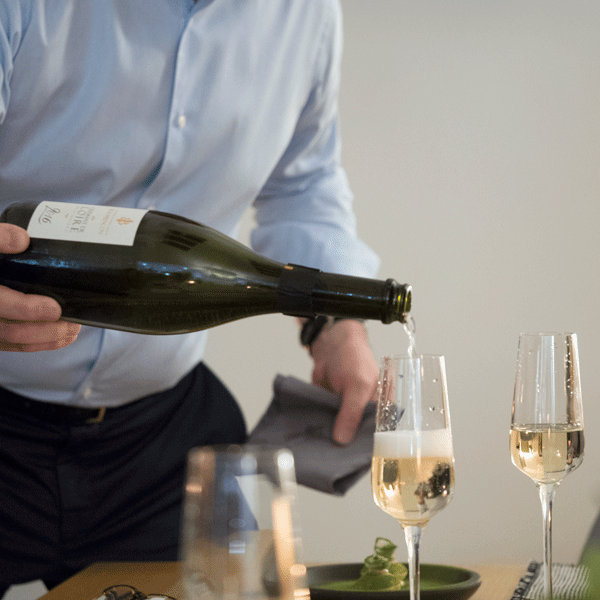 But there is more to the food experience at Breac.House than just occasional dinners, and one vital element of those dinners are the wines offered by Sean and Francoise Gilley, of Terroirs wine shop, in Donnybrook. For almost twenty five years, the Gilleys have improved the lives of wine lovers by offering brilliant bottles from smart, creative winemakers. The range of bottles they offered with the Ciaran Sweeney dinner showed the Terroirs USPs to bold effect: from classic regions they know the best producers – Chablis from Lauren Tribut showed what Chablis can achieve, but almost never does – and their love of great value – Triocha Blanc from Luberon, and Elian da Ros from Cotes du Marmandais, are great wines at great prices. And when you are hiking Horn Head or touring up to Downings and Rosapenna, Niall and Cathrine make sure that the hunger pangs are kept at bay by supplying each guest with an Ashley Smith filled picnic bag: our day trip saw us enjoying roasted red pepper and courgette soup, crumbly, sweet soda bread, perfect Corleggy cheese from Silke Cropp in County Cavan, and a porter cake made with Letterkenny Yannaroddy porter. We ate it looking out over the waters at Doe Castle. When the MacSweeneys were ousted from the castle in the 1690s by the English, they chose to walk the roads of Donegal, rather than submit to their new landlords and masters. We can only hope they had something like the Breac.house picnic bag to sustain their travails and travels.